Let me be very clear about one thing though, Machhindra and its management (which includes me) is by no means an exemplary role model. It has all the shortcomings of other Nepali clubs including a lack of long-term planning, groupism and petty politics, misplaced priorities, unstable finances and no infrastructure. But, like a coach that makes a couple of impressive tactical decisions to win a match, similarly what helped propel NMB Bank Machhindra FC club near the top of the league table included several management actions that gave the club and its team an edge over the competition. Machhindra for the large part fulfilled its salary obligations to all its players. The club signed all its players to relatively modest contracts, which it knew it could honor. When there were cash flow issues, the club took out loans and was given advances from its sponsors to meet the payroll. MFC hired a fulltime physiotherapist and never compromised on the medical needs of its players. Players were regularly sent for physiotherapy and given all the medical facilities they required. As a result while most teams were suffering more and more injuries as the season progressed, Machhindra’s players were getting fitter. By the time the Super-Six came around the entire squad was healthy. Machhindra did its due-diligence when searching for a head coach. The club interviewed three coaches before hiring Swede Johan Kalin. All coaches were asked to submit their CV’s and appear for an online Skype interview. Kalin’s background as a coaching instructor and his experience in India were key to his selection. MFC management were confident that Kalin would be able to handle the many challenges he would have to face in Nepal and that the sight of a cow on the middle of the road would not send him packing for the next flight back to Stockholm! This year Machhindra ramped up its marketing efforts by selling replica jerseys and jackets, engaging fans online, supporting the formation of a fan club and conducting several well-organized press conferences. As a result a greater sense of professionalism creeped into the club and there was a feeling amongst the players and coaches that they were part of something bigger and more special. Having an adequate training ground and all the necessary equipment was a major priority for the club. The weeks leading up to the NCell Cup, Machhindra officials visited every corner of the city to find a decent training ground for the team. Having secured the Laboratory School football ground, the club also rented a nearby hostel for the players so getting to the training ground on time was never a problem. Training always ran smoothly for the White Lions and there were hardly any issues. This was more by accident than design, but Machhindra consisted of a very small squad of 20 players. A small squad helped foster unity amongst the players, strong team spirit and also afforded most players an opportunity to play in matches. Also, the less players a club has, the less mouths there are to feed, thus staying on budget proves a lot easier. Reviewing the list above, one can see that Machhindra did not make any sensational management moves, just a lot of small ones that added up to make a big difference. 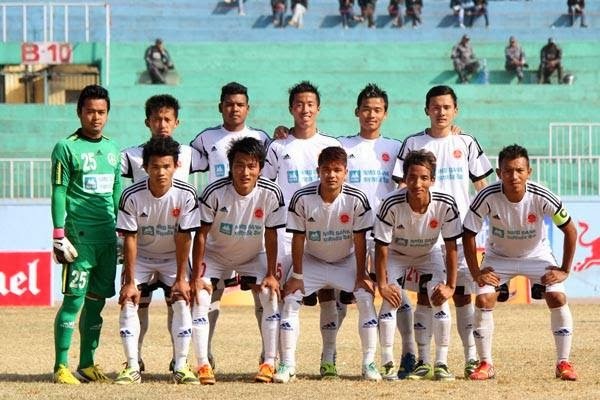 Hopefully, MFC’s success provides a few practical tips that Nepali clubs may choose to implement in the near future. Hi Karl, as a regular reader of your blog/tweets it's exciting to get your comments. And how in the world did you come across this post? I was checking my stats and I noticed that your blog was refered in the stats timeline. Keep in touch!